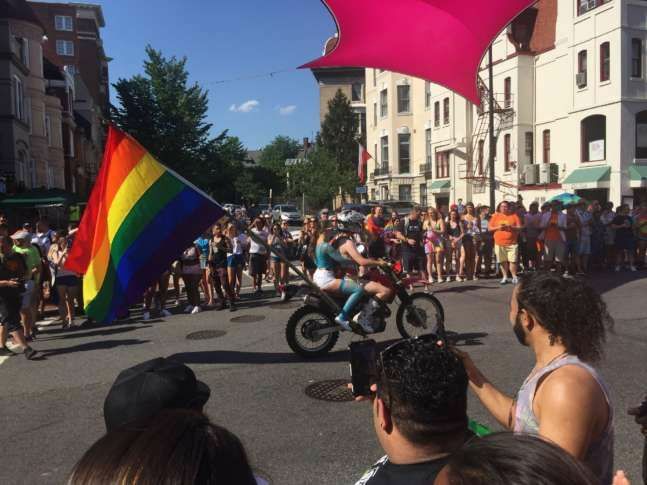 WASHINGTON — The annual Capital Pride Parade brought tens of thousands of people along the mile and a half long parade route that stretched from west of Dupont Circle and ended at 14th and R Streets Northwest. The Capital Pride events took place June 8 through June 11 all across D.C. Here are some photos highlighting the celebrations. For some of those in attendance, politics was very much on the mind, including a group of protesters. By the time the parade started, the sidewalks along P Street approaching Dupont Circle were packed with people. “We don’t do crowd estimates, but it’s not unusual to get 50,000 people for an event like this,” said Police Chief Peter Newsham. Christine Devito was here for the first time in her life, and she got to march in the parade after her company sponsored a float. “I get to be here, I get to be who I am, and I get to be with my job,” she said. “To combine all of those things is fantastic. 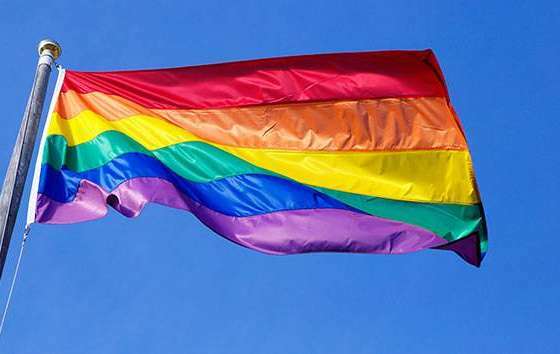 But there was a group of demonstrators that protested just that — the corporate sponsors — and eventually rerouted the planned Capital Pride Parade route. Members of No Justice, No Pride group protested Capital Pride and their “deeply problematic corporate sponsors,” which include the FBI, NSA, FBI, NSA, CIA, Wells Fargo, Lockheed Martin, Northrop Grumman, Federal Bureau of Prisons, according to a Jen Deerinwater, a participant with No Justice No Pride.